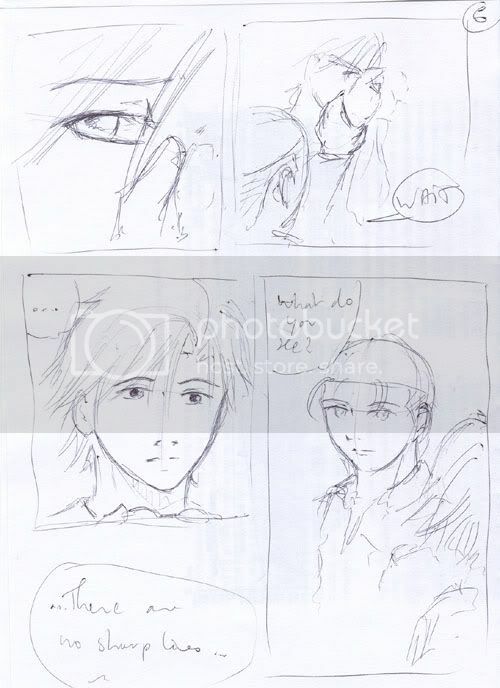 First there was oh my god fanservice (from the 30.5 fanbook, courtesy of leviosa8). Then there was oh so sweet fanart by histoirede. And then there was fanfic. Just a snippet of fluff, really. A cookie. With icing. And glasses. Prince of Tennis, Tezuka/Oishi, 350 words, G.
"Let's do some more problems." Oishi bent over the textbook. "If the area of each circle is pi/4 and the distance between the centre of the circles--" He broke off when Tezuka shifted beside him. "Tezuka?" 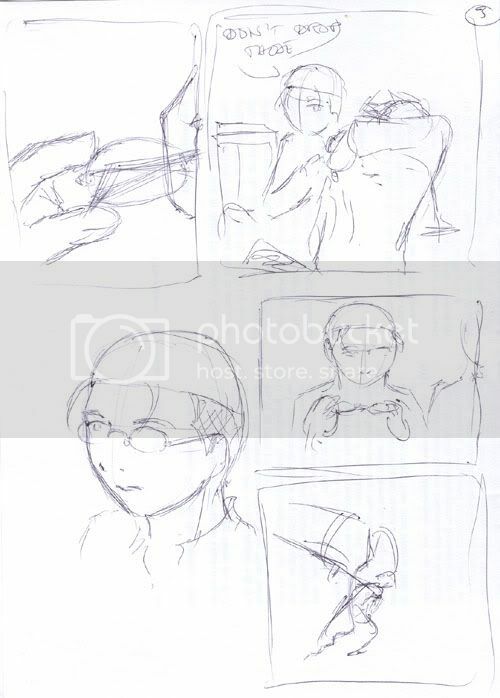 Tezuka was leaning back against the bed, his arm over his eyes, his glasses dangling from his fingers. "I guess it's late." Oishi closed the book and slipped it in his bag. "Don't drop those." He took the glasses from Tezuka and reached to set them down on the bedside table. Then he hesitated. He'd always wondered what it was like not to be able to see perfectly. Maybe if he looked through Tezuka's glasses, he would see what Tezuka saw without them. He put them on. The room seemed to bend and it made him feel almost dizzy. If he were standing, he wasn't sure he would be able walk safely. The lights were shinier and distorted. Nothing was where it should be, the world was strange and Oishi thought it would fall in on him at any moment. "Oishi." 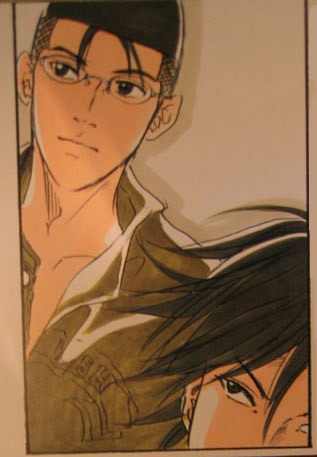 Oishi turned his head and Tezuka -- recognizable only by his voice -- came into view. 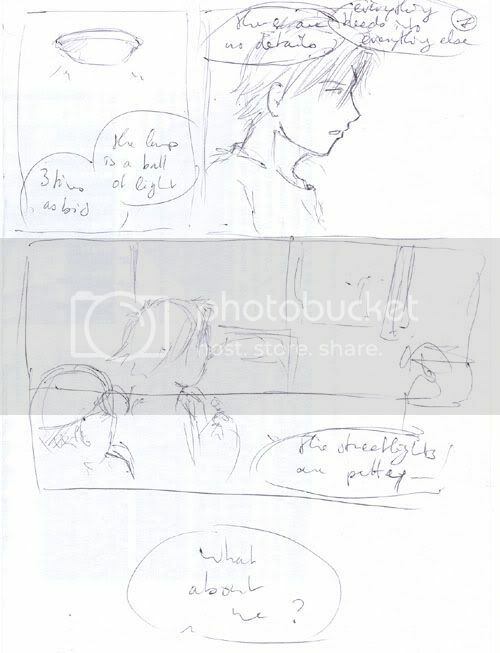 Oishi's head began to ache as his eyes struggled to focus. "Give those back." 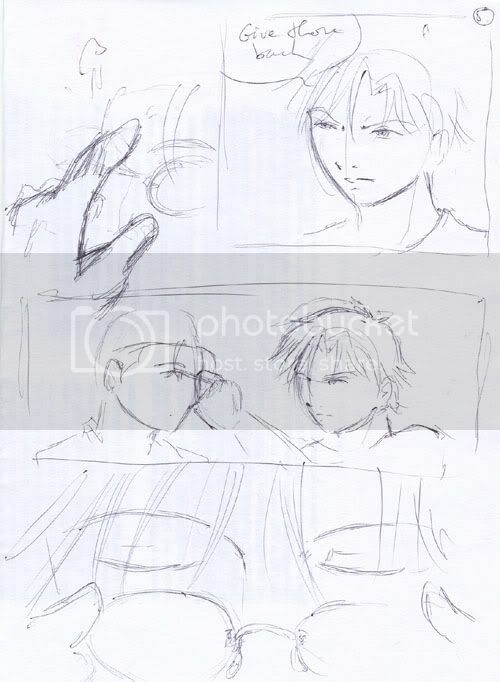 Tezuka touched Oishi's temple, slid until he found the glasses. He pulled them off Oishi's face and the world snapped back into its proper dimensions. Tezuka lifted them to put them on, but Oishi caught his wrist. "Wait," he said. "What do you see?" Tezuka blinked once. 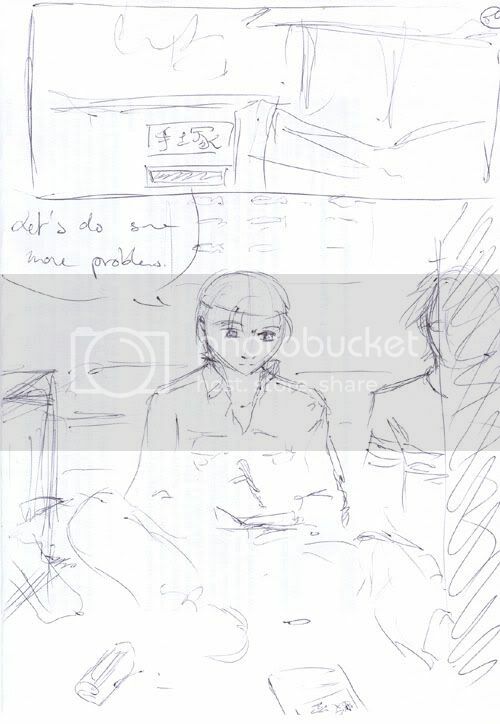 He looked younger without his glasses, Oishi thought. He looked almost vulnerable. "There are no sharp lines," Tezuka said. "Everything bleeds into everything else. There are no details. The lamp is a ball of light, three times as big." His eyes flicked over to the window. "The streetlights are pretty." "What about me?" 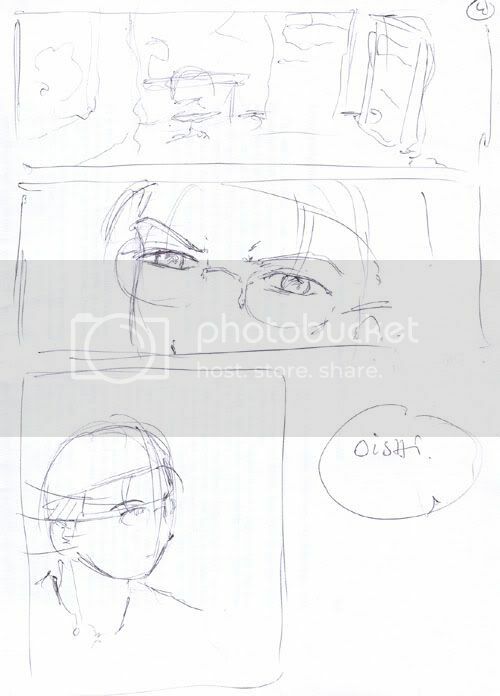 Tezuka looked back and Oishi thought how large his eyes were. "I can't see your face," Tezuka said. "I can't see your eyes." Oishi leaned in until their noses were almost touching. "How about now?" "Now I'm cross-eyed," Tezuka said. 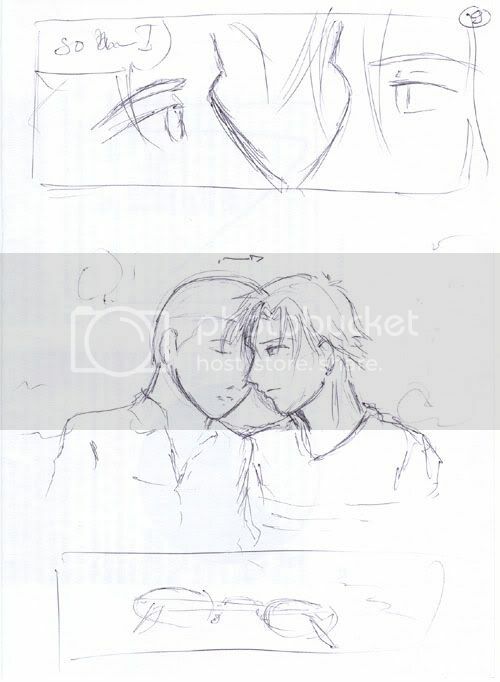 "So am I," Oishi said and he could feel Tezuka's smile when he kissed him. There is so much omfgyes in that paragraph I feel about to burst from otp love. Oh, squishy boys! The temple-touching was a lovely touch. They are so very squishy and adorable. Thank you! Glasses pr0n. I love it. The cross-hatching on Oishi's hair always makes me think of Archie Andrews' hair, actually. Tezuka/Oishi don't get enough love so it increases my love for your fics tenfold. You have such a wonderful way with words. *has melted* Just... aww. ... you made my day, and it's only 9am here. I'm just so glad that you liked it! Your drawing made me so happy I couldn't help writing this. Hee, melty! I'm getting so used to fanservice that when I watch NA TV, I wonder why I'm not getting any. 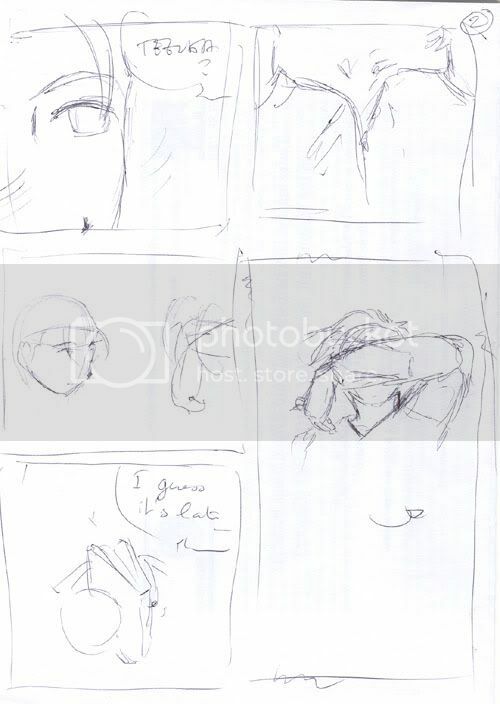 * Maybe change Oishi's line "What do you see?" to "Without your glasses, what do you see?" That will be clearer. 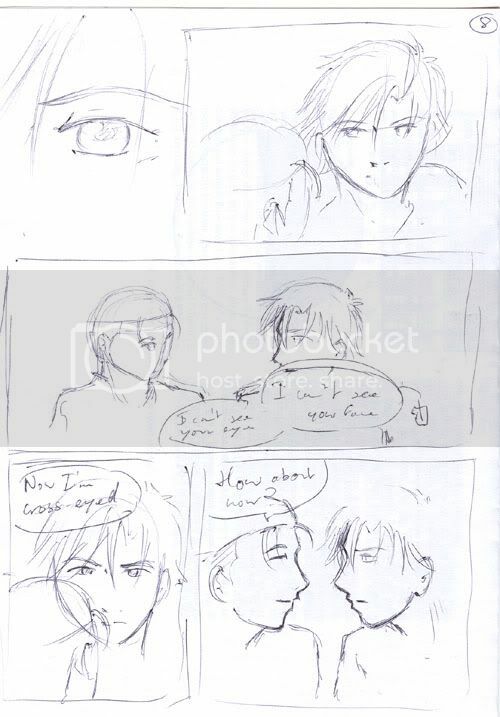 Vulnerable!Tezuka and CrossEyed!Tezuka are both very cute and Oishi is just lovely. I think I love you. ♥ Though I don't have my Tezuka/Oishi icons with me, so here's a GP one instead. :(((((( This is so sweet.